Thousands of you responded to ESA's call to find a name for Philae's landing site, initially designated ‘Site J'. It has now been named Agilkia. This name was among the proposals from France shortlisted for the competition by CNES... and it was submitted by a Frenchman! Philae’s ‘Site J’ now has a name: Agilkia. Credits: ESA/Rosetta/NavCam. 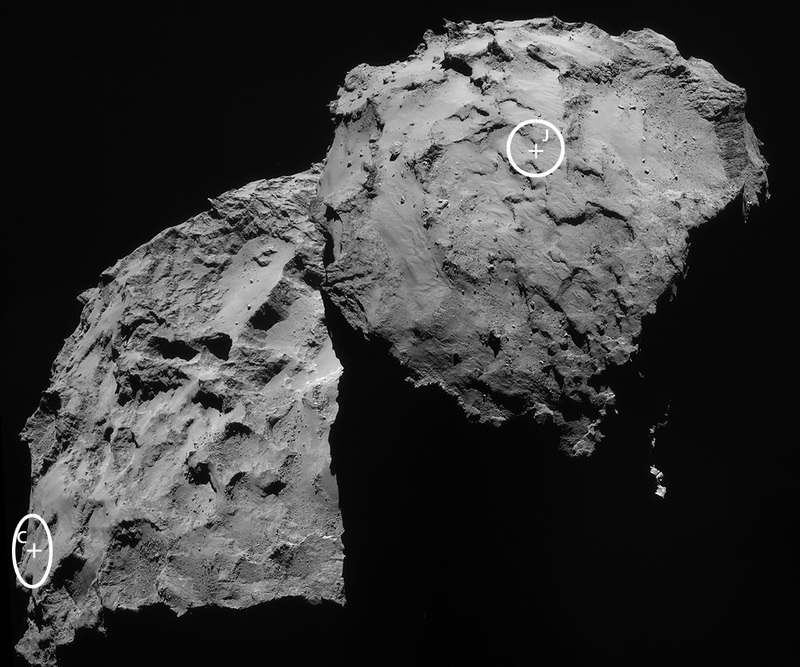 Philae’s landing site was looking for a name and now it has one: Agilkia. The competition launched by ESA on 16 October attracted over 8,000 entries in the space of only a few days. Of these, Agilkia—a particularly apposite name—came up more than 150 times and was put forward by CNES as part of the French selection. It is the name of an island on the River Nile in Egypt where the ancient ruins of the island of Philae were moved when the Aswan Dam was built in the 1970s. Indeed, Alexandre has been invited by ESA to follow Philae’s landing live on 12 November from the European Space Operations Centre (ESOC) in Darmstadt, Germany.